For those of you who were at the Hills Ferry Hunt Test with your dogs, pass or no pass, I was extremely proud of all of you for representing your dogs and yourselves so well. .The camaraderie was so evident. I hope that never changes no matter what level your dogs go to. “Zip” hadn’t even turned one years old when he earned his 2nd Junior Hunter leg at the Hills Ferry H.T. WOW! 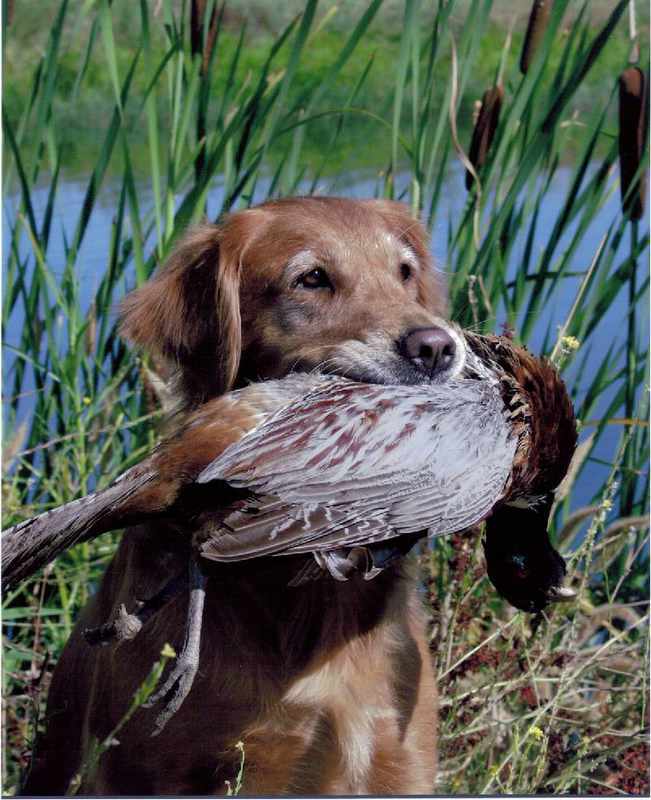 Now that’s something you don’t hear of very often in any breed of retriever. Least of all a Flat Coat. Which is not meant as an insult to the breed in any way. As I think I have several very talented flat coats I work with. However, from the start it was pretty evident this boy lives to retrieve. He loves to run hard and swim fast. “Zip” came to me as a puppy. Raw talent and instinct were part of this package. Patti and Joe have worked with me putting all the pieces together. I am thrilled to bits at the outcome. Not only that, “Zip” is already proving himself in the breed ring by picking up a bundle of points toward his CH in very limted showing. Being a breeder I can appreciate how excited they are with their boy. He certainly is proving “Pretty is, as pretty does”. Currently working on basic handling and preparing for Senior and Derby they have lots of good times ahead of them all. “Keltie” passed her first Senior Hunter test on her first try at the Hills Ferry H.T.. She was one of only a couple of dogs who did not have to be handled on the water double from Hell. She three whistled her land and water blind (also from Hell) and was able to hold tight for the Honor off leash. “Keltie” did me proud. The gallery was kind enough to applaud her work. “Keltie” is my love bunny at home and always tries her best for me in the field. She makes me look good! “Zinger” and Jean earned yet another Master Hunter leg at the Hills Ferry HT. This team hasn’t missed in Master since thier return! “Zinger” and Jean did some outstanding work in Master B. If you ever have a chance to see this team in Master you will see a partnership between handler and dog that is awesome to watch. Each reads the other throughout the series. One day I hope “Blaze” and I will have that same partnership. “Zinger’s” last series in Master was one of the best I saw all day. My last series in Master was one of the worst I saw all day. (gotta be honest, I failed as a handler) But that’s OK. We are still learning together. Congratulations! “Gabby” blasted her way through the NorCal Field Trial running Derby for the second time and picked up her second JAM. I was thrilled she was able to get through all the series and be one of only 5 to receive a JAM for her work. “Gabby” simply amazes me when I watch her run and swim these long distance marks. She loves the field trial game a lot. However, her opinion of her first Senior test was not exactly what I had hoped for. She made it all the way through to the water blind, then decided to turn a deaf ear to my handles. Which I decided was not good. In fact, I called her in despite the Judges telling me I could have got her there. I truly believe in “Gabby’s” case I did her a big (expensive) favor. In view of the fact I do not want her to become test wise and start blowing me off on her blinds at tests, eventually getting there and finding a reward for bad behavior. We have more work to do on her handling before we go to Senior tests I think.